Home Are You Scared of Getting Dental Implants? 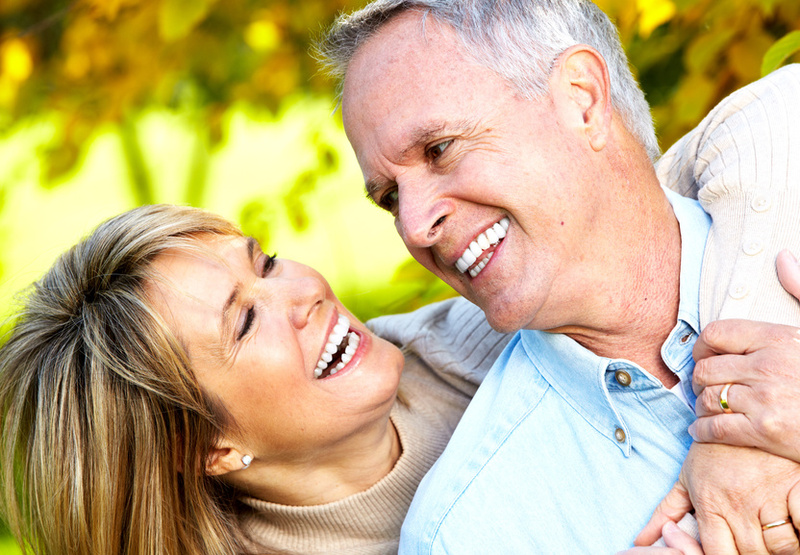 For many dental patients, the idea of getting dental implants can be a frightening one. The vast array of benefits are sometimes overshadowed by the fear of dental surgery. But there’s good news. Today’s dental procedures are faster, safer, and less painful than ever before. And thanks to advancements in techniques, materials, and training, even complicated procedures are becoming more streamlined and efficient. The basic concept of dental implants is simple enough: when the root of a tooth becomes too damaged (whether by trauma, disease, or neglect) to serve as a functional foundation for the crown, the entire tooth, root and all, is removed and replaced. A titanium implant is inserted into the bone socket. Once the bone has healed around the implant (which takes six-to-12 weeks), a false crown is attached, and the replacement tooth now looks and functions exactly like a natural, healthy tooth. But the procedure isn’t limited to replacing just one tooth. And not every false tooth needs its own implant. Multiple teeth can be placed on a single implant. In fact, an entire upper or lower set of teeth can be installed all in four implants! Aptly titled the “All in Four” procedure, it boasts the fastest recovery time and fewest complications, due to the simple fact that fewer implants are used.